The shooting of a man in his 20s has been described as “shameful” by a nationalist politician. 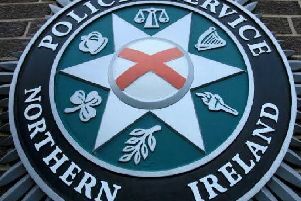 Detectives in Belfast are appealing for witnesses after the incident in the Laurelbank area of Poleglass on Sunday. Poleglass is a republican-dominated district on the south-western edge of Belfast. Detective Sergeant Michael Hawthorne said in a statement: “At around 10.10pm a man in his 20s was approached by four masked men in an entryway who ordered him to lie down prior to shooting him through the foot. “He was later taken to hospital for treatment to his injuries which are not believed to be life-threatening. SDLP Belfast councillor Brian Heading noted that sthe shooting came the night before the Poleglass community plans to pay their last respects to mother-of-three Valerie Armstrong, who was killed after being struck by a scrambler motorbike in west Belfast’s Colin Glen park on Wednesday, July 20. Branding the attack the work of “cowards” whose methods have been “rejected by the vast majority”, councillor Heading said: “At a time when this community is in mourning and preparing to pay respects to a loved mother and neighbour, the last thing we need is more tragedy here. Sinn Fein MLA Jennifer McCann said that the attack “was wrong and I condemn it”.